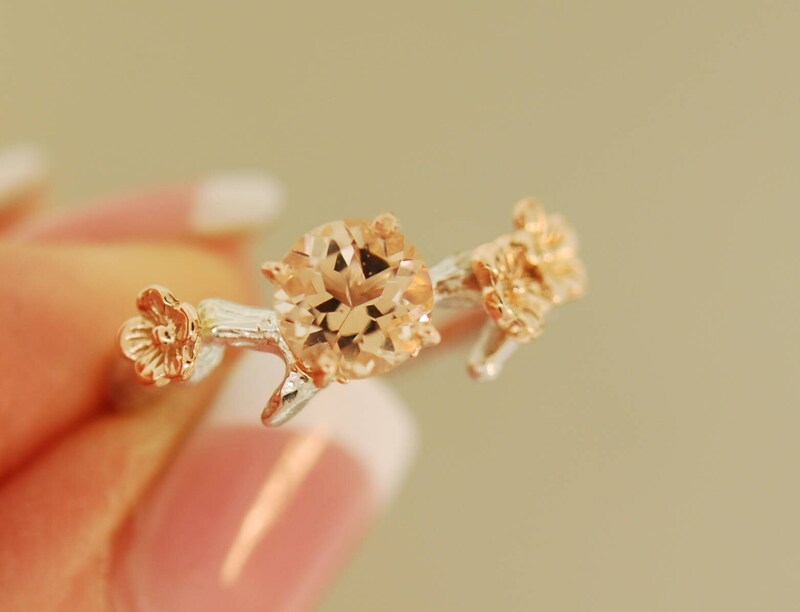 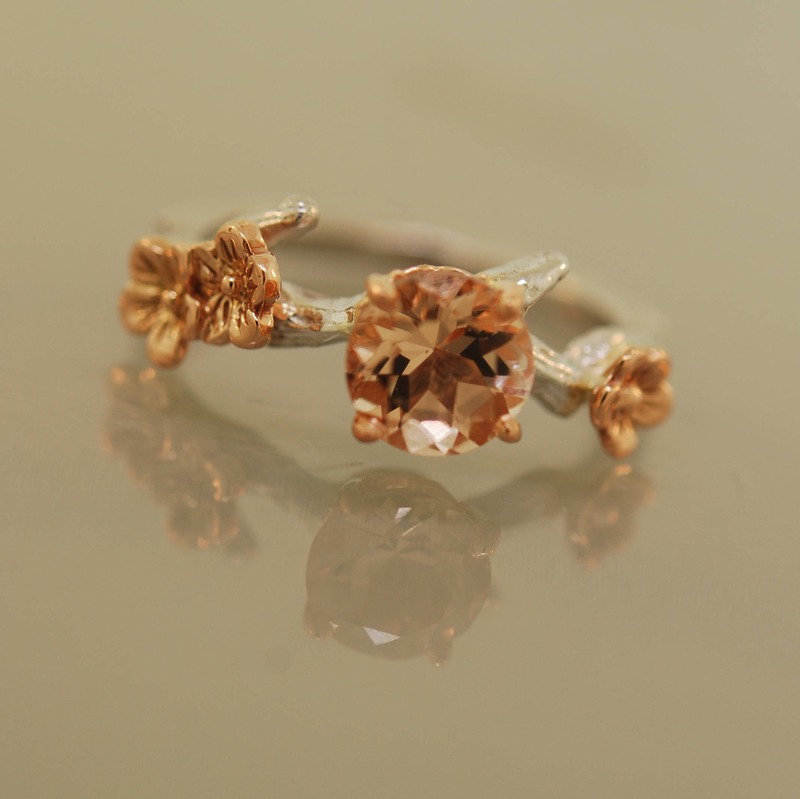 This beautiful cherry blossom branch ring has a 6 mm morganite stone that is set in-between its delicate flowers. 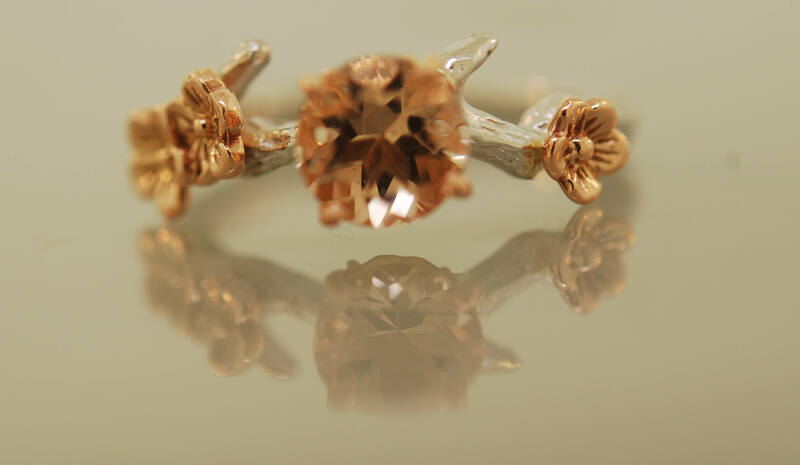 The morganite is set in a filigree rose gold setting. 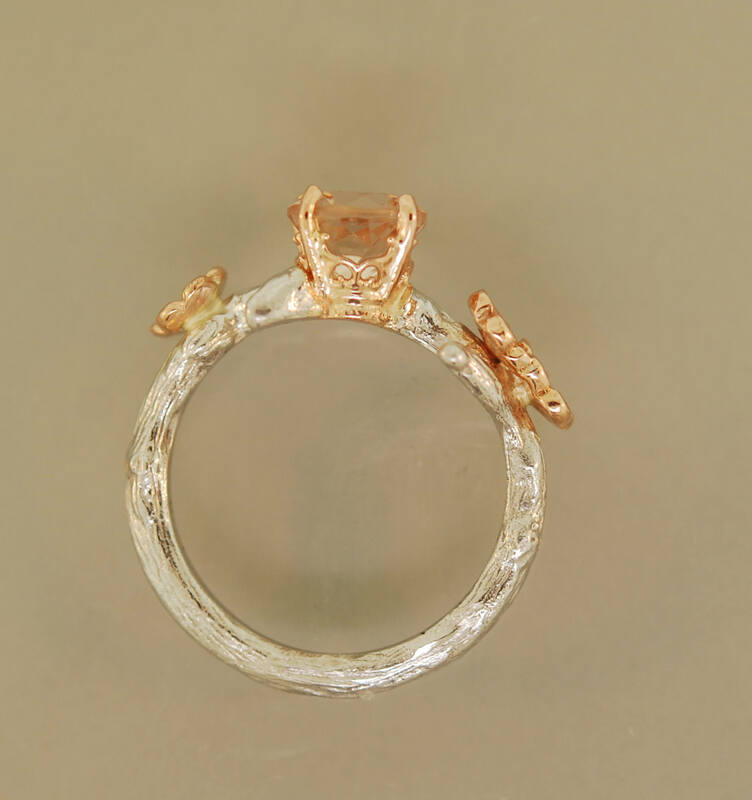 This listing is for the engagement ring with the stone. 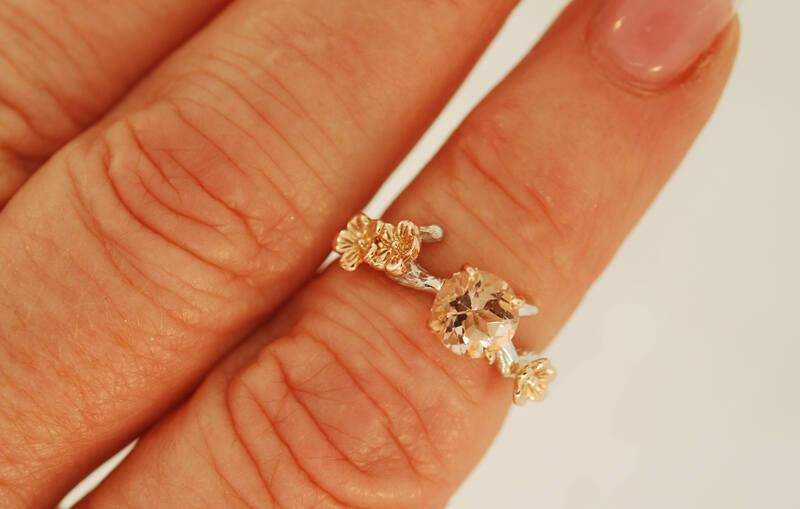 The branch band can be ordered in sterling silver or 14 karat white gold from the drop down menu. 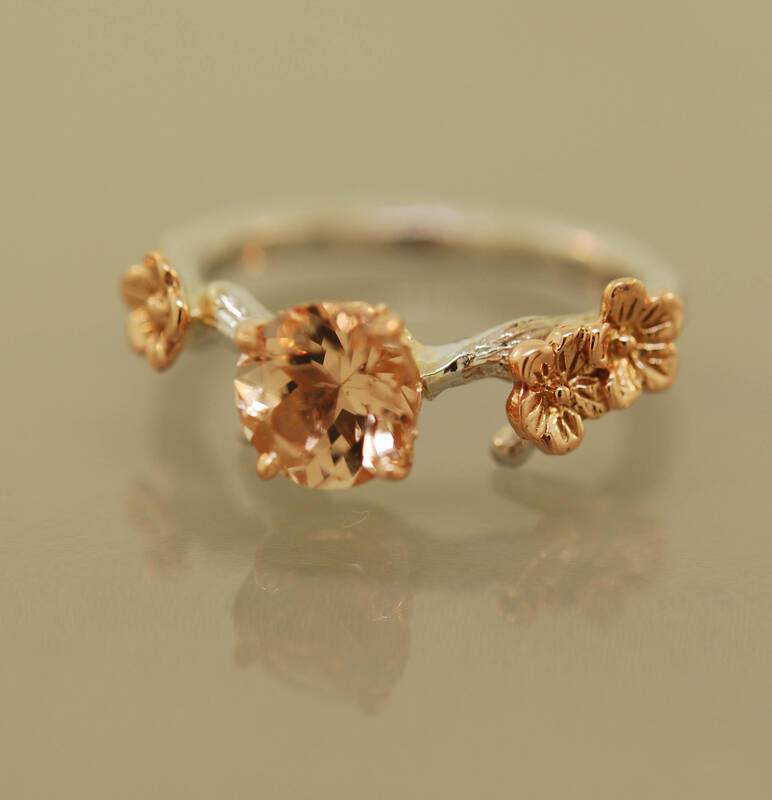 The blossoms and setting are 14 karat rose gold for both bands.